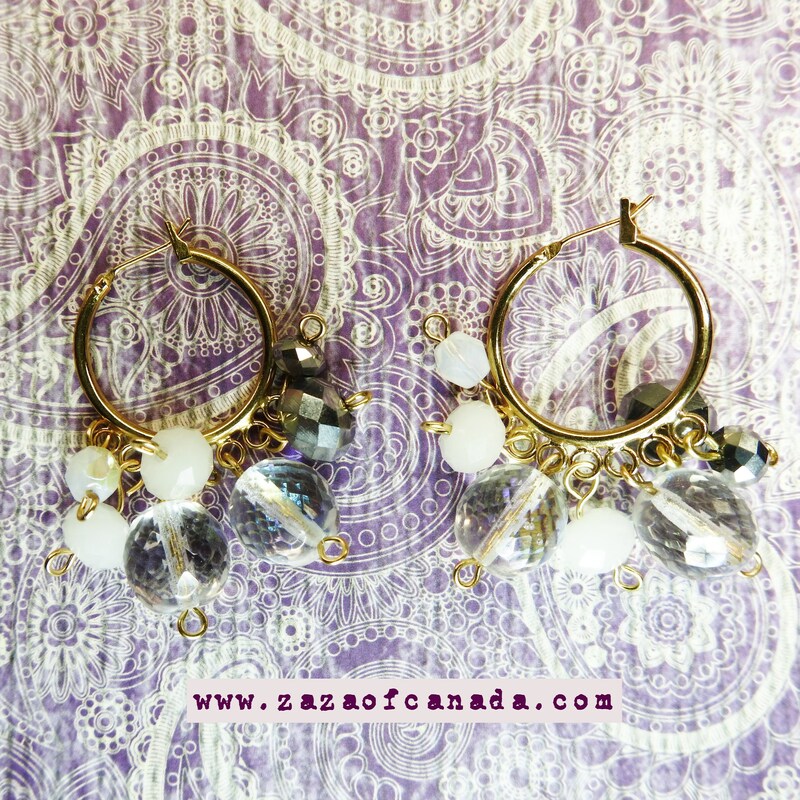 Take a moment and check out these adorable pretty dangle hoops earrings with Swarovski crystal beads! 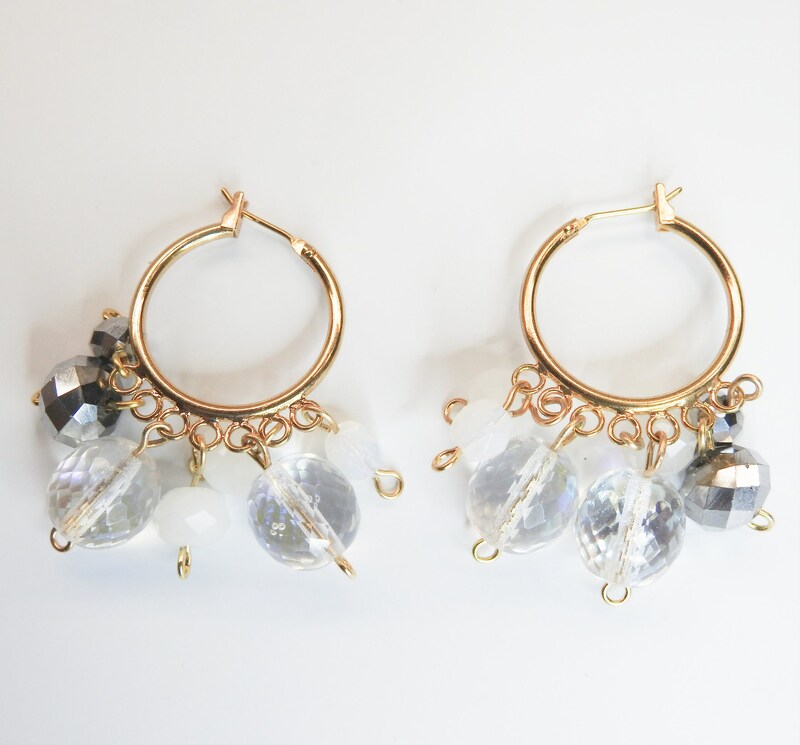 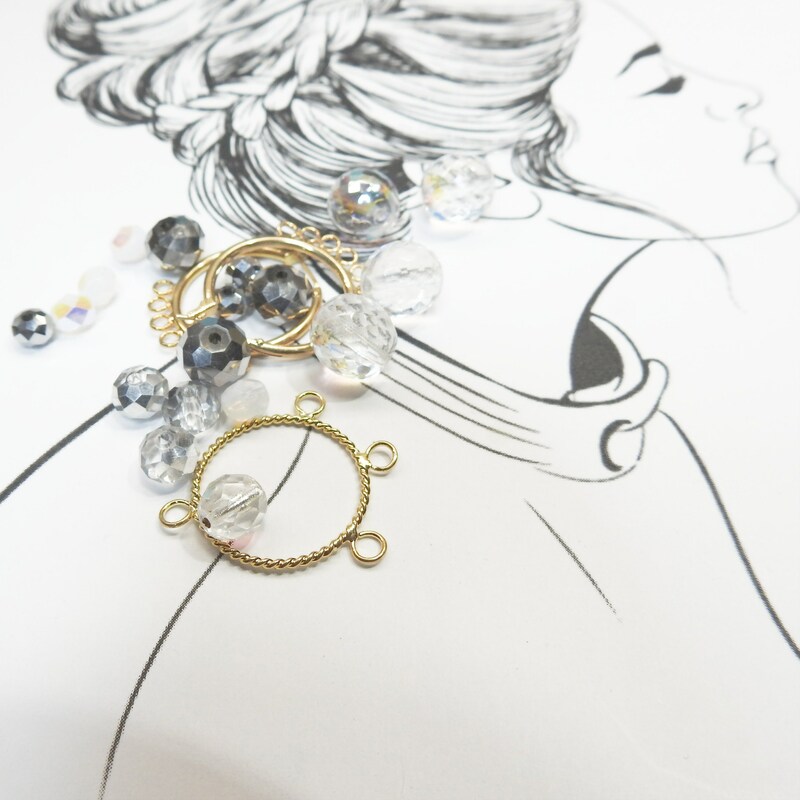 These dangle earrings are so playful, you want to wear them every day. 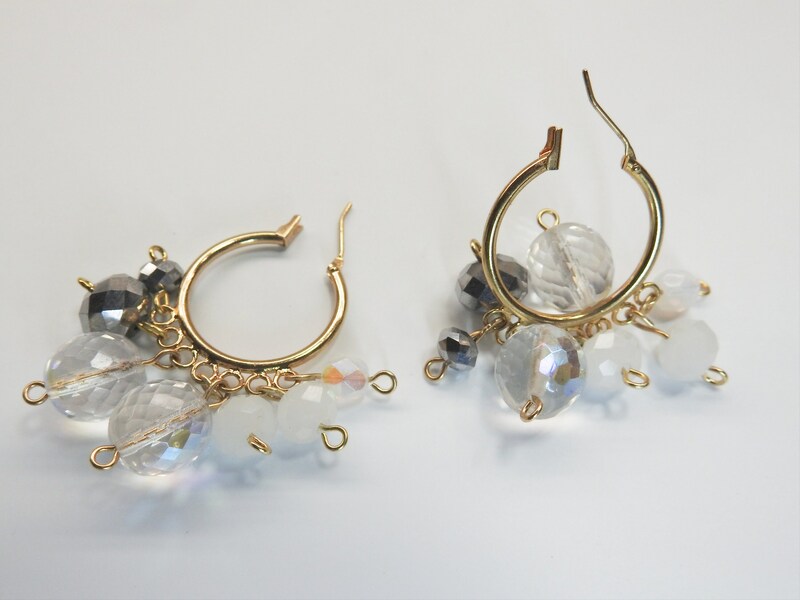 - Materials: Brass and smoky white, transparent and silver color Swarovski faceted beads. 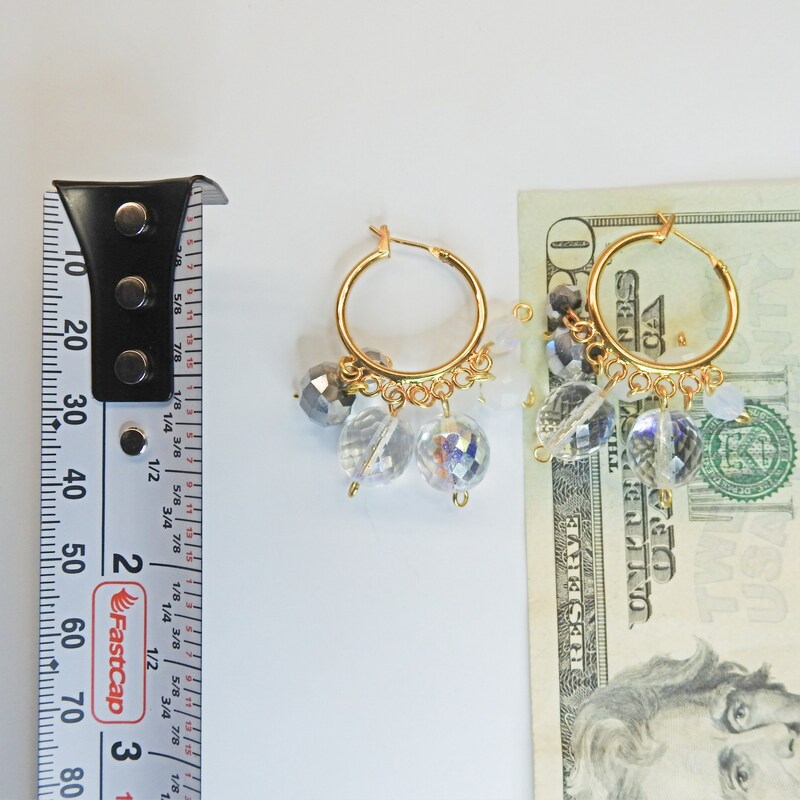 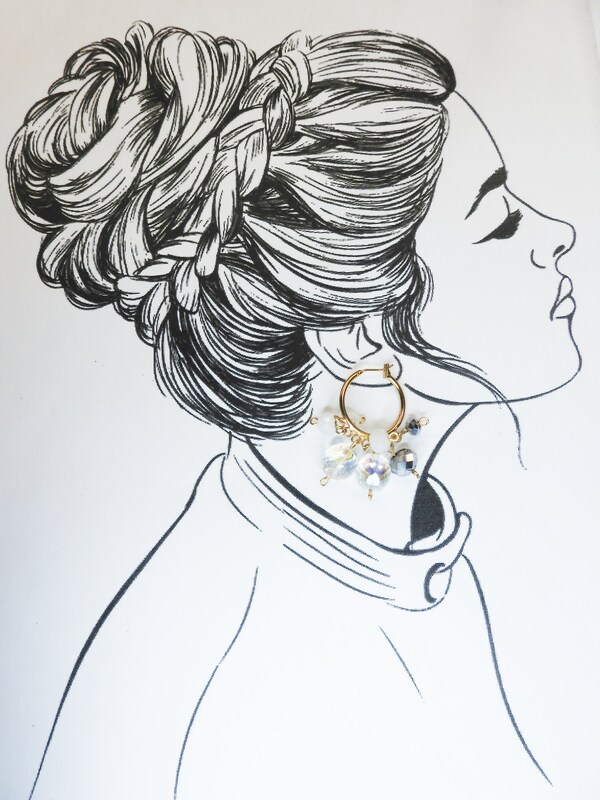 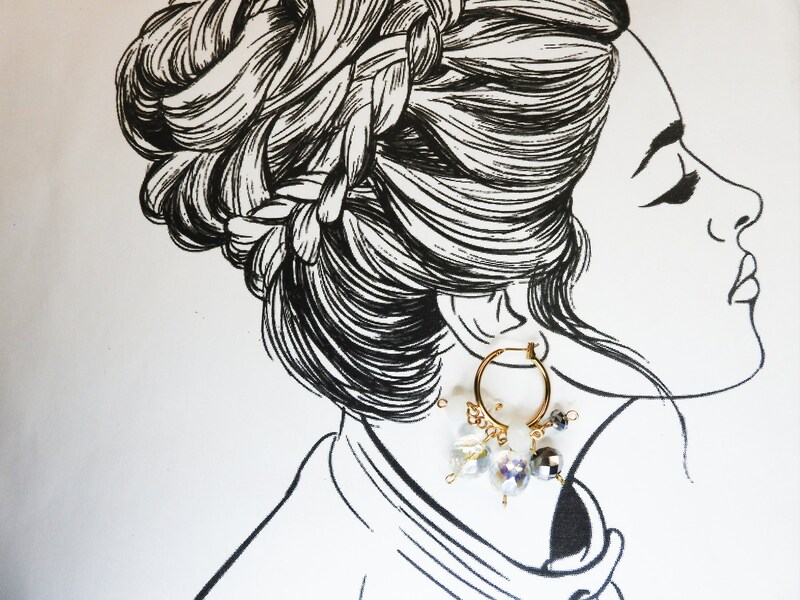 - Style: hoop earrings, dangle earrings. 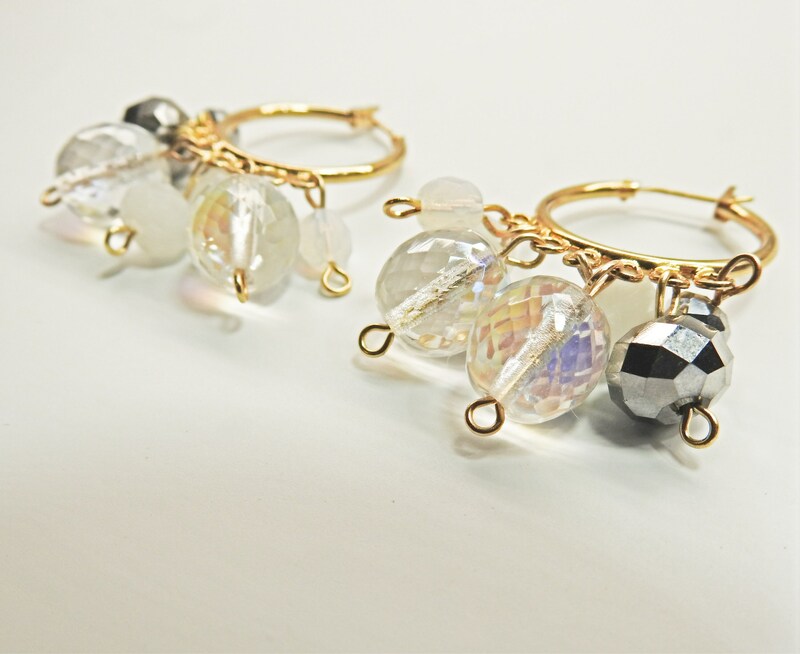 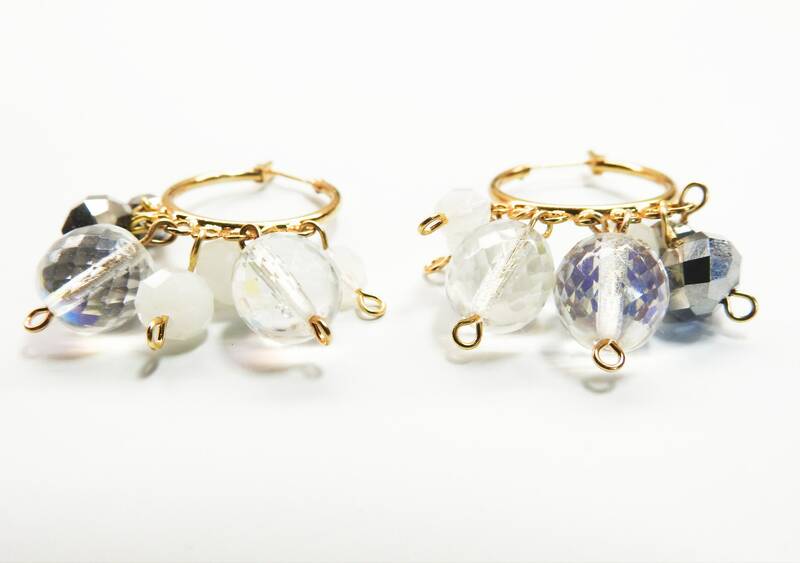 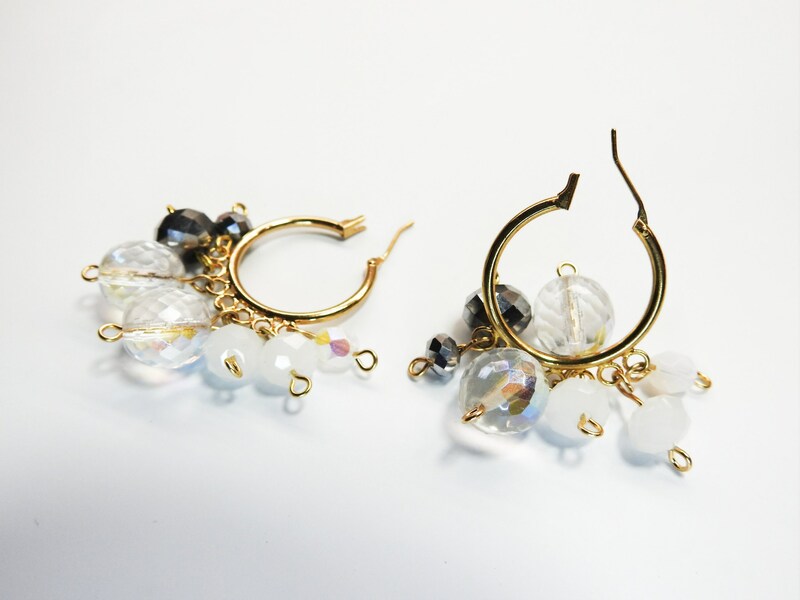 Thank you for exploring these cute jewelry dangle hoops earrings with beads!